You will never have had Mother's Day tea and coffee this good. 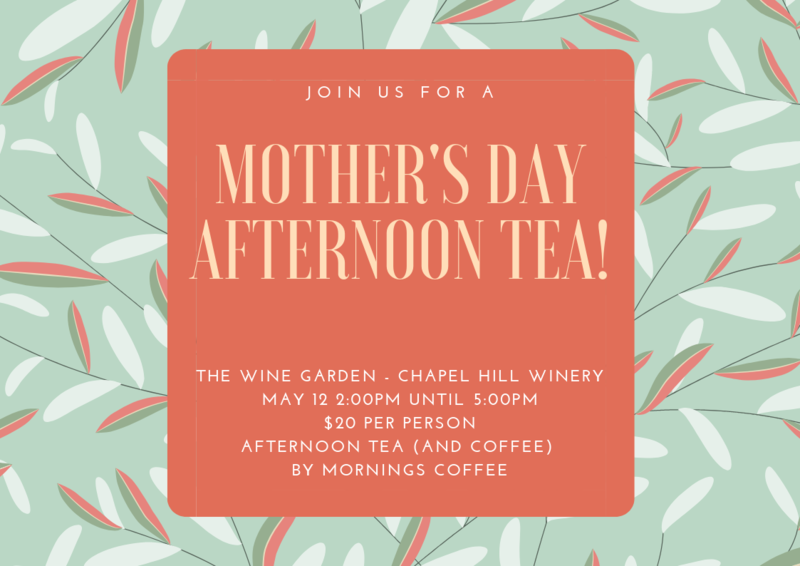 Morning's Coffee, usually located on Peel St at Malt and Juniper, are joining us on Mother's Day to provide the best tea and coffee your mum has ever had. This will be complimented by a grazing table featuring the best of Morning's Coffee snacks in both sweet and savoury varities. For the good mums, there will also be wine tasting. Morning's Coffee will have coffee beans and artisan almond milk for sale. Children under 18 are welcome too, and are free of charge, just pay for what they'd like on the day. All attendees will receive 20% off and free shipping on wine purchases on the day.